It has been ages since we had a Lolcat Doodle , so it is time to get creative with cats again and celebrate the holiday season at the same time! Your doodle task is as follows! You need to head over to the lolcat builder and create a picture that celebrates your favorite seasonal song (whether it be a carol, or a more modern ditty - just so long as it has references in it to the holiday season) How? 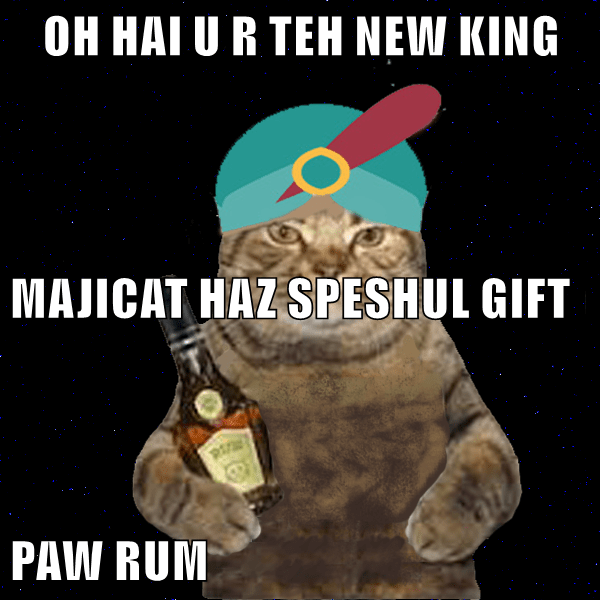 Translate the line you have picked into lolcat-speak, then make it the caption of a lolcat picture. To make the lolcat picture, you can follow the step-by-step guide below, or just find a picture, add the text, upload it, all by your clever old selves. 1. Find a picture of a cat that is right for your song. You can have more than one cat in the picture if you want. Save the image you find to your computer. 2. Go to the lolcat builder and press "lol builder" at the top. 3. Press Browse, find your cat picture, and press Upload. 4. Scroll down the screen until you get the "Step 2" area, where you should see your picture. 5. Caption your picture. You can put text at the top, middle or bottom, and set its position, font size and color, etc. 7. Rinse and repeat until you're happy. 8. Either... Save or Save&Submit to get a url for your lolcat, or simply right-click on the Preview image and save the image onto your computer (as .jpg or .png), and then host the image yourself to get a url. Note that you do NOT have to put your name and email in. 9. 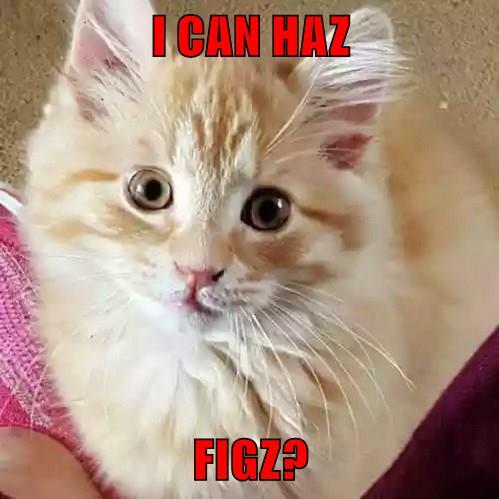 Post your lolcat as an image no larger than 600 x 600 pixels into the thread (or as a link if it's larger), using image tags, as shown here. 10. Preview your post to make sure the image shows correctly. Make sure your image links do not require viewers to register or download anything. Use the "Preview" button before posting your entry, to make sure the image is showing correctly. Remember to press "Reply to this post" instead of "Post new thread"! "Now bring us a figgy pudding, and a cup of good cheer." A new born king to see, pa rum pum pum pum. Our finest gifts we bring, pa rum pum pum pum. Big shoutout to my sister-in-law's cat Orion for bein a grumpy lil cat. Song: Do you hear what I hear? Do you see what I see? Do you see what I see? Yarr! The end of another year of (not) Daily Doodles! I love lolcats, and I lol'd at every one here. The winner, getting themselves a standard renamed sloop (Grumpy Cat), a winter ornament trinket and, best of all, a HERA EGG, HUZZAH! (oh, and one of those shiny sun points too - but that is less exciting than Hera Egg, right? RIGHT??? ), is Bisca of Obsidian ! Congratulations! Your new ship is in your inventory, but you will need to trade it to an alt and back again for it to display correctly. Thank you again to all who entered!